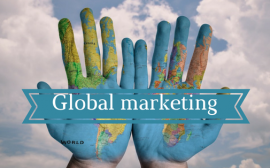 The shift from national marketing to global marketing has been one of the biggest changes in the last five decades or so. The impression of leveraging an effective marketing strategy across numerous marketplaces looks to be nothing but advantageous. It saves resources and efforts and also makes sure there is a high degree of steadiness and reliability between all in-market activities. However, one of the common disappointing mistakes companies make is not thinking through the global logistics. They tend to use strategies that are only applicable in a few countries, instead of using ones that can be applied in many countries. Moreover, marketers usually use software that enables them to send emails, publish content on their sites and social media channels and carry out other important marketing tasks. What most of them don’t know is that the same tools do not support every market. For instance, the software you use might be offering only five languages, whereas the marketing automation software lets you market in many countries. Furthermore, your payment methods may be working for a few countries while your CRM is full of contacts from more than a hundred countries. A global marketing business environment requires firms to be more flexible, bring services and products to the market at a rapid pace, and be more agile. This is where virtual business comes in; it holds promise as business leaders experiment and learn new strategies for managing a global market in the twenty-first century. Brands that are adapting virtual business should expect to face challenges as they shift to an environment that is both uncertain and volatile. On the other hand, virtual business has some advantages too. For example, if you run your brand virtually, you do not have to worry about leasing your office space in every country, paying for utilities, and purchasing furniture. You can lease a main office with a few employees. In national marketing, a specific brand message can be carefully crafted in a way that it properly communicates to your target audience. However, when it comes to sharing your brand voice with global prospects, its essence can get lost in translation. The importance of brand voice in global marketing is very sensitive. This is why you should make sure your brand voice communicates clearly to all your target audience. A company should build a brand voice that has a translation quality from the start. This can be enhanced by the companies being able to adapt the brand voice with consistency into the local markets they are targeting. National marketing is all about standardisation of business marketing. This strategy enables brands to optimise their processes and align more efficiently with their supplier. However, even though this strategy has been successful, it is now being replaced by the localisation strategy. With the increase of diversity that has resulted from globalisation, customers’ taste and preferences toward localisation services have increased, making localisation the way forward for global marketing. Localising the brand names in other languages without compromising the identity of the brand is a crucial challenge for many businesses. The most common example of the challenge is when a business uses transliteration strategies to localise their brand to an entirely different writing system. One of the most famous examples of a bad translation is that of Coca-Cola whose translation to Chinese ko-kä-kö-la meant ‘bite a wax tadpole’. To avoid these mistakes, a company should consider using the services of localisation agencies to be more effective in all countries to which it is selling. In today’s marketplace, brands who wish to shift from national marketing to global marketing are turning towards using multilingual digital marketing methods such as emails, web campaigns, blogs and social media platforms. The advancement of technology means that online advertising and digital marketing have become powerful ways of engaging new customers. The key to success is making sure any digital content created is multilingual in nature and adapted to suit the local markets. To make successful multilingual marketing strategies, it is crucial for global brands to pay close attention to the new marketing societal styles and norms. It is also vital to understand how these norms may vary between traditional marketing and digital marketing techniques. Many businesses often underestimate the difficulty of market content localisation for global audiences. A powerful brand message in one language does not mean it can be translated easily to other markets. This is because each has its own social and cultural differences that affect the localised content. When a message is released to global markets, it is vital the message is relevant to the local audience and still maintain a consistent global brand. When compared to translation, transcreation goes a step further by ensuring your message stays relevant to specific audiences. Transcreation is not just a translation process; it is a creative process. Ultimately, transcreated content does what’s necessary to evoke the same response as the original message. Transcreation makes the content feel brand-aligned and more genuine at the same time. Consumers often assume names have literal meanings. For instance, when a driver sees a sign saying ‘Lakeview Drive’, he or she assumes that somewhere on the road is a view of a lake. Marketing agencies can take great advantage of a consumer’s belief in the truthfulness of a name. It is important to note that names can change their meanings depending on the language involved. So you have to make sure the name has a sensible meaning in the language of the countries in which you are planning to do business. For instance, the French cheese brand Kiri changed its name to Kibi in Iran because Kir meant rotten in Farsi and that was not the association you would want for a cheese brand. In multiple ways, a country’s position is stronger than a brand position. When a certain brand is in sync with its country’s origin, it has a good chance of being successful on the global market. For instance, let’s take Russia; this country is known for vodka and it is unsurprising that Smirnoff was also founded in Moscow. The main benefit of shifting to global marketing is that it allows you to reach more customers. As long as your brand has demand in your target market, there is a customer base. A brand which sells successfully in the home country will often perform well in global markets. So take into consideration the above factors so as to take full advantage of the global market prospects in several ways. Sergio Arboledas is Digital Marketing Manager at Loveurope and Partners, a London-based advertising production services group. Sergio started his career in London at Textappeal, one of the leading transcreation agencies in London where developed a good understanding of the transcreation workflow and its importance for global brand success. 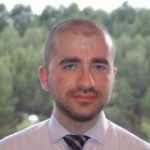 Now at Loveurope, Sergio is in charge of all things marketing (email marketing campaigns, social media, SEO, SEM, events organisation, content creation, etc.) as well as supports all the Loveurope Group brands. Definitely having a localisation strategy is key to target different markets. Thanks David. Will check out your post.